Ford has been asked to do something about the apparent rise of its stolen cars. 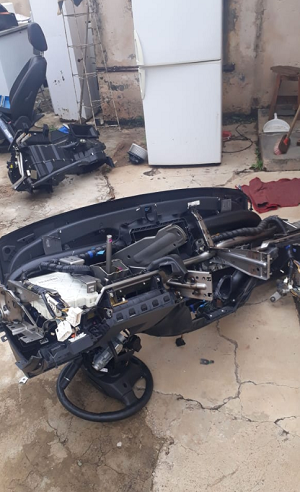 South Africans were left in shock on social media after Crime Air Network on Twitter shared pictures of a Ford Ranger that was stripped shortly after being stolen. According to the Twitter page, it only took criminals two hours and 41 minutes to steal the car, drive to their safe house, and reduce it to nothing – apparently for its parts. It was unclear when and where it was stolen, though it is suspected that it was stolen in Soshanguve, Pretoria. Though people on social media called for the criminals to be jailed for a long time, some said the owner of the house where the car was found must be arrested as well. Others, however, said though the criminals should be arrested, they also called on Ford to do something about the apparent rise in the theft of Ford cars.